Guitar not included with figure. 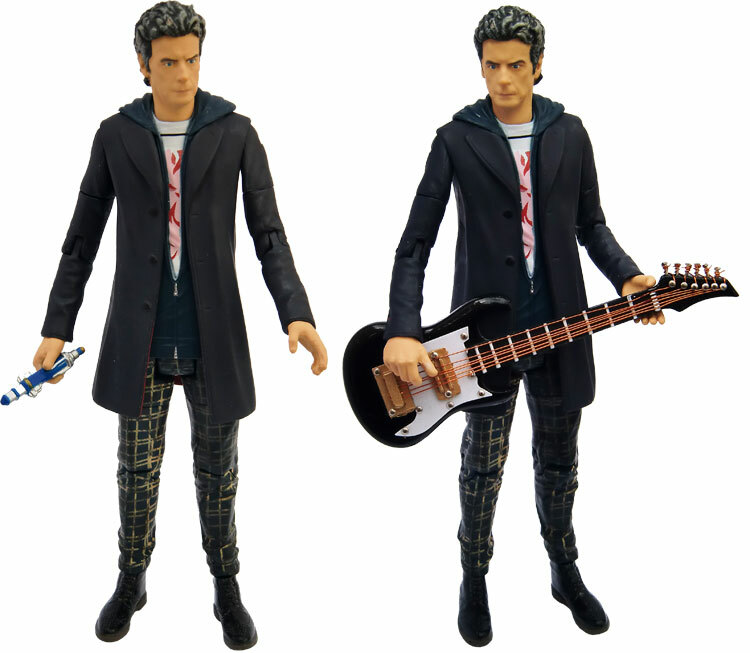 Another Figure in the series is the Twelfth Doctor, as played by Peter Capaldi, in his Ninth Season hoodie and checked trousers outfit. 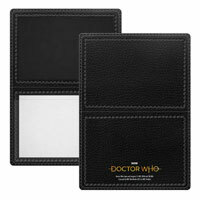 This item also includes a new head sculpt and his brand new Sonic Screwdriver just in time for Season Ten! What about the other variant? May or some time before. Does anyone have any idea when it will be released? Wooooo! 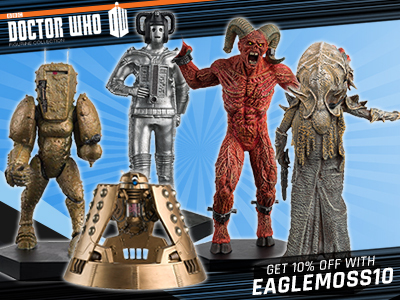 New five inch Doctor Who figures! The Twelfth Doctor from series nine looks so cool! Would love to see a red velvet jacket version too! The Affable Design Company on Faecbook has posted some renders of this variant and the Under the Lake/Before the Flood variant and they look absolutely brilliant. Its a shame that the finished figures probably won’t look anything like them. Wow! Just wow! That’s awesome. Hopefully CO won’t put the weird thick paint on the figures, and the finished figures will look like that. Great news! New figures at last! OK, so most of us would like something ‘completely’ new, but I don’t think anywhere us willing to stomp up the extra dosh it would require! Just to to hope that a shop in the UK gets them in! The one thing I hope that this figure has is the same skin tone on the hands and head as the Time of the Doctor head because the Series 8 variants were a different tone and when you put the Time head on the Series 8 variants the colour of the head and hands didn’t match. If this is done then people who don’t like the new head sculpt won’t have to repaint the hands to match the Time head and can just swap the heads around to whichever they think looks best. 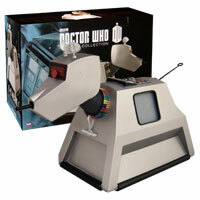 Do you have information on whether Forbidden Planet International and Toys R Us will be selling this booboo? Thanks booboo. Its a bit strange though that Forbidden Planet International are getting the Tenth Doctor in tuxedo figure in stock for mid December but won’t be stocking this until early next year. I wonder why. who said we wont get it until jan/feb? Who is the horses mouth exactly? CO? UT? TRU? FPI? Thats a shame. i was really hoping that it would be out by christmas. I should imagine booboo is referring to UT Whovastron. That’s a pity! I’m stopping all Merch collecting as of 31st Dec 2016 ~ Never mind. It doesn’t sound like we’ll be getting one, not as either of the next two items anyway. UT could be lying though as it was said there would be nothing from the Tenth or Eleventh Doctor’s era’s but I highly doubt that. I don’t think he’s lying. He hasn’t lied yet. He made a mistake before when he said it wasn’t anything to do with the 10th Doctor and 10 in tux showed up. He was going to put up the 12th Doctor figure but hadn’t received permission yet to do so. 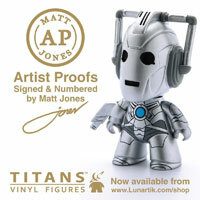 So with that I really don’t see a Cyberman being released. It that’s the case Cyberman Bill then I apologize. 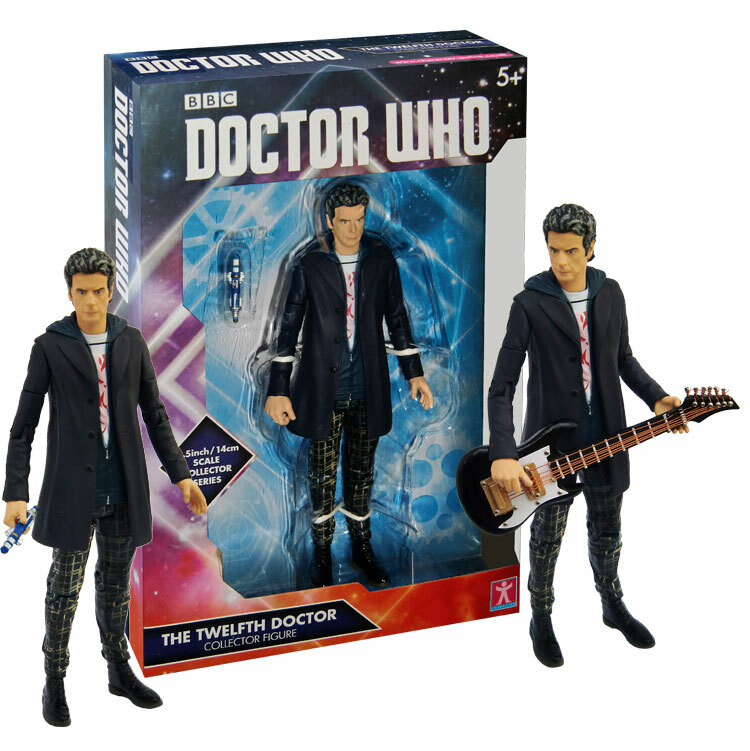 To be honest I can wait for a Cyberman because I’m just really happy with the Twelfth Doctor variant we’re getting as it took me by surprise and it looks amazing. 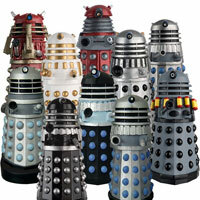 I’m still wondering if we will see a Dalek figure as the packaging would have to be different from what we got last year, unless they use the same packaging for the exclusive Dalek Sec. You don’t have to apologize for wanting that figure. A new Cyberman would be great! (Just look at my name) – I think they could do a Dalek. I don’t think there fussed about the packaging. They would just make packaging to fit the Dalek. Whatever we get!! I’m just happy we’re getting new items and I will be buying them. I wonder when we’ll have the 3rd and 4th addition to this wave?? TGWL was my 2nd favourite Who episode in S9 so I’m beyond happy they’re realising this! 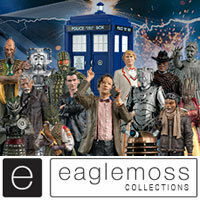 And I’m pleased about the 10 in Tuxedo and S1-4 TARDIS Playset re-release! All round happy! He doesn’t have the new sonic in that episode. It looks good though. I suppose it’s better than having no new sonic. People would have been unhappy if he didn’t come with it. 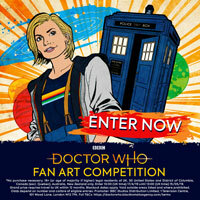 Looks like John Barrowman in a grey wig! Haha, that image will be forever be in my head. It does reflect his age, its a very good sculpt. Once again though the paint has been applied to thickly to the sculpt. Yes. Go on the Whona action figure forum and look at TOMFANS customs. He has repainted the capaldinhead and it looks just like him. The sculpt is fine it’s the paint. Also this is a prototype image which is only a mock-up of the official figure. You never know, it may look a lot different in person which is why I’m going to reserve judgement until I have the figure in hand. Exactly. 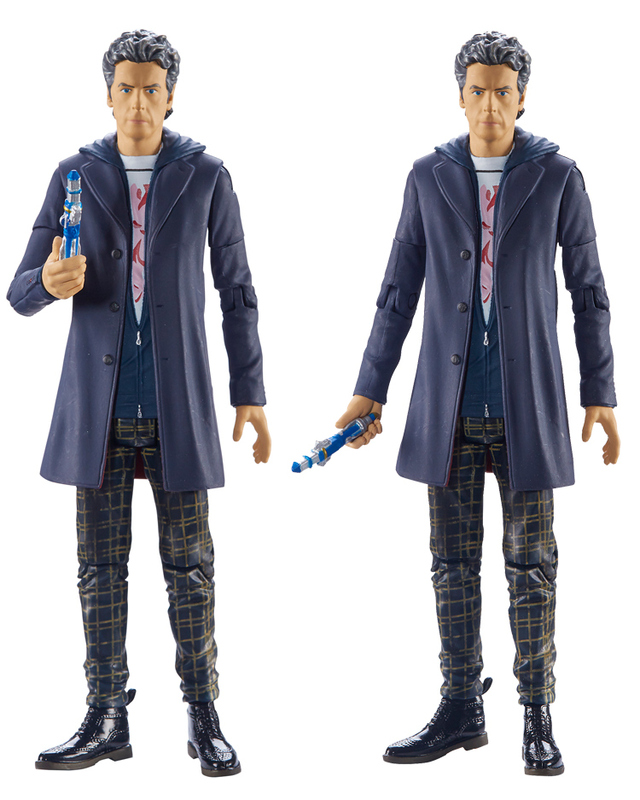 Remember all the fuss people made about the Night of the Doctor Eighth Doctor figure’s prototype image and said it didn’t look like Paul McGann, well now its highly regarded as one of the best 5″ figures ever made. Also for the price you aren’t going to get a completely accurate figure for £14.99 as it isn’t always possible. You aren’t going to get perfection every time but I don’t think this is far off. Will the other announcements be monster figures? I doubt it. I think one will possibly be an Eleventh Doctor variant of some sort and the final one will be a Twelfth Doctor in velvet coat. Either that or a Davros repaint or a classic Dalek from The Magician’s Apprentice & The Witch’s Familiar but then the packaging would have to be changed to accommodate for the figures because the standard Collector’s series packaging isn’t big enough. I hope so. I’ve wanted that figure ever since the episode aired. Please can we have a actuate Clara figure! Best companion ever in my opinion. the Moment, you are joking right? Clara has about as much personality as a damp rag. Personally I’d love it if UT were to release a tardis playset for the twelth doctor. However I dont think this shall be the case as the original 10th doctor’s playset was released by Character Options we can only hope. I hope that UT are saving something really good/big for their final product reveal. I doubt it’d be totally impossible for it to be a 12th Doctors Tardis! I do think if it were to be made, it’d be more like the 11th Doctors interior with a lack of lights and sounds and massively scaled down. I’d still be tempted to buy it though, provided the console was good enough. All I personally would want from a Tardis playset is a well detailed console, and a nice diorama for displaying a couple of figures. Obviously play features would be great too, but I just want some sort of Tardis to display the 12th Doctor in! JRT…. they haven’t even announced the other items and you’re already talking Comic Con? Lol. That’s so far away. I can’t see a 10th Tardis interior working as a 12th doctors…? You’d be a lot better making it from scratch using Foam board or MDF. Otherwise it’d look totally off. weirdly I had a dream of someone selling a crappy 10th Doctor Tardis interior customised as the 12th, with cardboard and paper. And people were going crazy over it. CB- LOL! I know,but SUDDENLY it’ll be July and Comic-Con,time goes fast….sometimes,lol! Of course,UGT might release some other fun stuff before then,lol! Looks great! Looking forward to picking one of these up! Any ideas about when to expect the last two reveals??? I think we may get one tomorrow as the TARDIS playset was announced on Monday and the final one may be announced on Wednesday or Thursday. Why are so many people asking for a Bill figure already? I really don’t get why people want a figure of her now, and what they’d actually expect. She hasn’t even aired in any Doctor who episodes yet, she hasn’t officially become the Doctors companion on screen, and the Doctor hasn’t even met her yet! Calm down people. There are plenty more figures to ask for that have actually been seen on the program, and people have to start asking for a companion we haven’t seen yet. Why? And what do those people expect the figure to look like anyways? We’ve only seen Bill wearing ONE outfit, and she might not wear that one in series 10. And what if she wears a better-looking outfit in another episode? Won’t they all be wishing we had a figure of her in that outfit instead, but can’t because we technically already have one. There has to be someone who gets where I’m coming from. If you’re going to ask for a figure, why choose a character who we don’t even know yet? When series 10 rolls around, we’ll all be asking for her, but now seems a bit stupid in my eyes. And the same with Nardole, he’s in series 10, so wouldn’t it be better to ask for him when series 10 comes? I agree with you Annonymous….. and watch, they will get a Bill figure but then they will complain about something wrong with the figure. Even when they get what they want people aren’t happy. There are a lot of figures that could be released before Bill and Nardol. Star Wars releases figures never before seen right before he movie opens…. Doctor Who still had a year to go until we see it full time again. Be patient people. You may get what you want eventually. 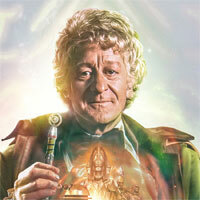 Bill will still probably be one of them, and as far as an outfit im sure UT can access pictures from the Moff. I doubt they would be purchasing the rights to give her a Prince’s purple rain shirt but if they did I would die of happiness. I hope that outfit makes it in atleast 1 full episode and I wouldn’t complain if it were added to rotation. I think that CO have already made a Bill figure ready for release when the series airs. Just a small little theory. Can someone tell me why people already want a figure of Bill? I mean, she hasn’t even had any actual screen time yet, the series she’s in hasn’t even aired, and as far as we are concerned, the Doctor hasn’t even met her yet. Every time someone asks for her as one of the new figures I feel like saying “slow down. There are other figures we want and need before even thinking about a character that hasn’t even made an appearance yet. And what do they think when it comes to her outfit/what the figure will look like? 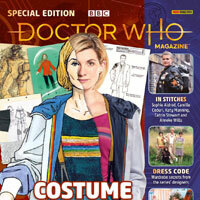 We have seen her in ONE outfit and she might not even wear that in the actual series. I get that when the time comes, we will all eventually be asking for her, but now to me seems pretty stupid. I’ve seen people complaining that this should have more accessories, or it’s going to cost a fortune, or it’s just a simple revision. GUYS, It’s not even out yet! How do you know there aren’t any more accesories? How do you know it will cost a fortune? Why do you say it’s a revision? He’s got a completely new outfit! For almost year, pretty much every Who site has people constantly asking for a Series 9 twelfth doctor. Complaining about all the re-releases that we’ve got. And now they’ve finally listened and given us one, why do you still complain? Why do you criticize it? Why do you want there to be MORE accessories? Can’t you just accept you’ve finally got what you’ve wanted for the past year? I don’t think there will be any more accessories, as there aren’t any more in the image and this figure will likely have 2-4 variants. As for the complaining, People are going to complain, its in our nature. Things don’t go the way we imagine them, so we complain. Best to just ignore it if you can. I am very happy about this figure. I have no problem with the accessories, although I would have liked a guitar, but I’m sure I can find one on ebay. I agree with you Inspector, people spent the whole of last year complaining and saying we need a Series 9 variant of the Twelfth Doctor, yet here we are finally with a new variant and people still complain. I mean why? We’ve got what we wanted, surely that’s enough? Okay he doesn’t come with sonic sunglasses or a guitar but that would’ve costed a lot of money to produce and I’m really not that bothered. Yes he comes with the new design Sonic Screwdriver that he never got until the end of Hell Bent but any acessory is better than none. 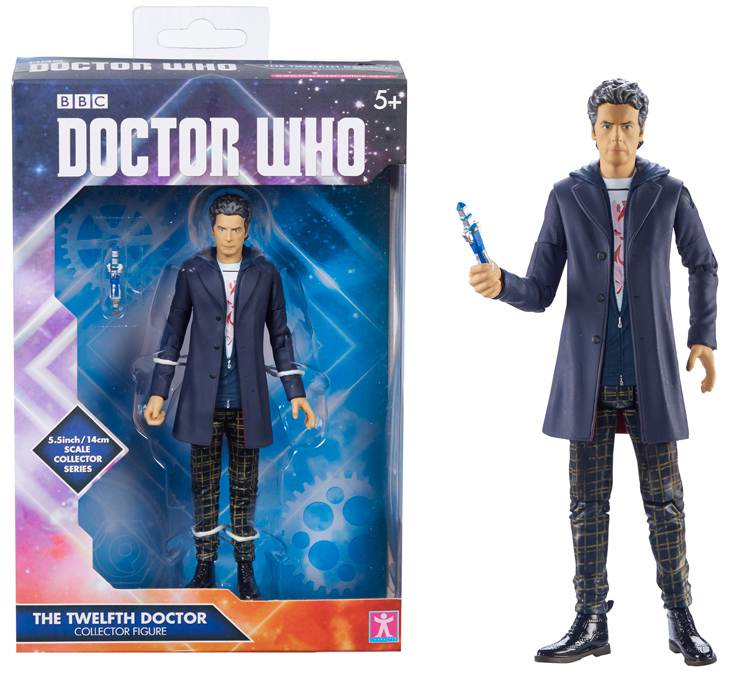 I for one am very excited that we are seeing this costume variant of Twelve in 5″ form amd can’t wait to add it to my collection. I’d rather have just a head without sunglasses than one with sunglasses, it would be really annoying if we had gotten a new headsculpt with longer hair but it only came with the sunglasses, it would be spiky hair Ten all over again. P.s. They are not for sale. But God how I wish they were. I’ve saw them. I want them all. 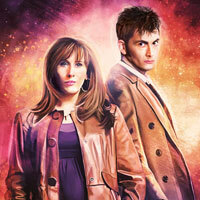 It just makes me want a new clara even more. to be honest there is very little criticism overall all about the 2 figures announced, they are both great additions. What does everyone think the next products will be??? Anyone think we’ll get any more new figures?? I’m hoping the last two will be a red velvet 12th Dr variant and a FTR Clara. (But i’d settle for any accurate s9 clara at the moment. Just to add on, I said a FTR Clara because that would seem like the most obvious choice if you were going to make her. But I’ve also heard some very good ideas about a Bonnie version with a Bonnie/Clara swappable heads. That would be cool too. Clara from Under the lake and Before the Flood (which would be a repaint of the previous Clara figure) and a classic dalek from Magician’s apprentice and Witches familiar (Again a repaint) though this could come in a set. I cringed when I read ‘repaint’ about Clara. No no no. If we are going to get a new Clara I would want it to be done right. Not a bad repaint like that blue Ozwin repaint. It is possible to do a good Clara repaint from that story. I’m basing my ideas around what I have heard and I remember hearing about CO making a black dress Clara with ‘Patterning’. UtL/BtF/Series 9 promo poster Clara is wearing a black dress with a pattern on it, so I assume that if that rumour is true (which I am 60-70% sure it is) then that maybe the Clara we get. I think a Bill and a Nardol figure. I doubt it’ll be Bill and Nardole. My money is on a repaint or rerelease and maybe a red velvet 12.
their will nardole and possibly a fisher king. Who else is throwing money at the screen but not getting anything? We will…. we will be rewarded! Patience. Daleks have no concept of.. Patience! !